Having waited for months for the government to publish a statutory report by the Committee on Climate Change (CCC) on the impact of fracking on the UK's legally binding climate targets, campaigners suspected that it was not favourable to the government's "all-out for shale" policy. Some of the more cynical among us may have expected it on 6th July, on the day of the even-more-long-awaited Chilcot report into the Iraq war. In fact the report was finally released on the morning of 7th July. The government's response was buoyant. "Shale gas is a fantastic opportunity" enthused energy secretary and leadership hopeful Andrea Leadsom. In her statement to the House of Commons she declared "The Government welcomes the CCC’s conclusion that shale gas is compatible with carbon budgets if certain conditions are met... We are confident that the existing regulators have the right powers and flexibility to ensure that emissions are minimised." But does the report itself justify this optimism? "Our assessment is that exploiting shale gas by fracking on a significant scale is not compatible with UK climate targets unless three tests are met"
Test 1: Well development, production and decommissioning emissions must be strictly limited. 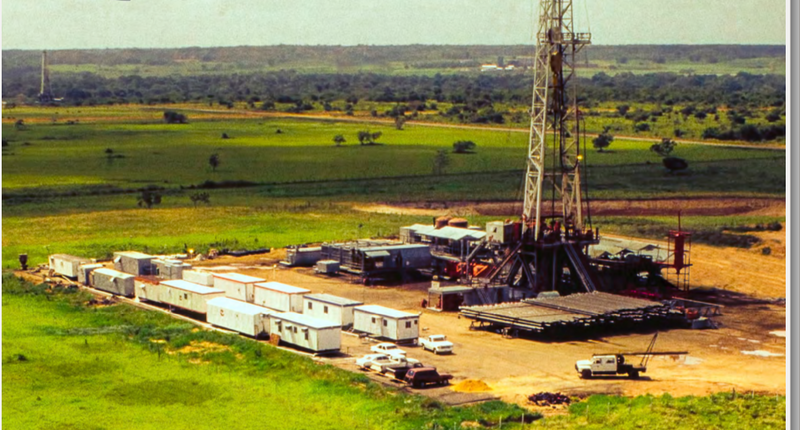 Since the gas extracted during fracking, methane, is itself a significant greenhouse gas, the proportion which leaks into the atmosphere during and after drilling determines the climate impact. At around 3% or more, shale gas is likely to be no better for the climate than burning coal. The CCC estimates that under current Environment Agency regulations a typical UK well might leak 1.3%. At a minimum, regulations need to be introduced that would reduce this to 0.5%. It notes that the Environment Agency is currently consulting on additional regulations that might be required. In other words, increased regulation is definitely needed to reduce emissions. "We will keep top-down measurements under review to ensure that our estimates of methane emissions from onshore production reflect the available evidence as best as possible. The gap between top-down and bottom-up estimates for the US does, however, suggest there are risks of significant emissions from super-emitters." Test 2: Gas consumption must remain in line with carbon budgets requirements. This means that UK shale gas production must displace imported gas rather than increasing domestic consumption. The CCC says that gas consumption in the UK must fall by 80% by 2050 in the absence of carbon capture and storage (50% with CCS). While there are doubts about the feasibility of carbon capture and storage as a way of achieving mass emissions reductions, the government has depended on it heavily in its forecasts for how the UK's legally binding climate targets will be met. But in November 2015 a £1bn CCS programme in November was cancelled suddenly, leaving a rather conspicuous hole in their plans. There are emissions from the production of gas, not just its consumption. The CCC is clear that these emissions would have to be compensated for with cuts elsewhere. The CCC recently released a report demonstrating that the government's cutbacks to climate action mean it is off-course to meet its 2030 climate targets. In fact, current policies would achieve just half of the emissions cuts needed. So shale gas would only be compatible with the UK's climate targets if current efforts to achieve long-term cuts are more than doubled, and no sector goes over its allocation. "Should emissions in sectors excluding shale gas exploitation be allowed to go well beyond our Central scenario in one or more areas (e.g. uncontrolled expansion of aviation, little or no CCS, failure to decarbonise heat), then the 2050 target would be at risk and it is very unlikely that there would be scope for additional emissions from shale gas exploitation consistent with meeting carbon budgets or the 2050 target." The government asserts in its response to the report that this will not be a problem because... well, because it says so. "The government’s commitment to meeting carbon budgets means that any additional emissions from shale gas production would be accommodated within carbon budgets and offset by lower emissions in other sectors. Given this, the Government is confident that the CCC’s “Test 3” can be met for production stage shale development." This response was issued during the post-Brexit turmoil, for which neither government nor the Leave campaign apparently had a plan. It was issued less than 24 hours after the damning Chilcot report into the Iraq war. Yet the government is still apparently happy to pursue policies on climate change, an existential threat, on the basis of confident assertions with no evidence backing them up. An urgent rethink is required, not just on fracking, but on its whole approach to energy and climate change. This is no place for the game of post-truth politics.